While I don’t particularly care for New Year’s Eve or the ridiculous expectations that come with it (New Year’s Eve is lame, but champagne is forever! 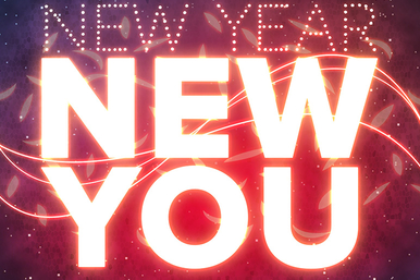 ), I do love to usher in the New Year with a fresh set of goals and a positive mindset. I like the idea of a chance for a fresh start. 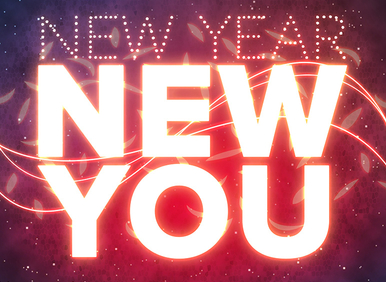 Begin your year with some of my New Year, New You goals! Instead of resolutions, set intentions this year. Let’s face it, most of us break our resolutions within a few weeks. Intentions are less specific and focus on the big picture. Don’t set yourself up for failure by making super specific resolutions, instead, make your intentions part of an overall mindset. Stop sleeping in your makeup. Just stop. Sleeping in makeup not only stains nice pillowcases, but it’s a perfect medium for bacteria to throw a party. Do you want a bacteria party in and around your pores? No you do not! Be the best you that you can be, however that may be. Own your quirkiness, your unique qualities. Don’t be what someone else wants you to be. So what if your clothes never match, or your hair is never perfect. You have a few pounds to lose, or you’d like to tone up just a little more. So does every single person I have ever tanned! We are beautiful in our own ways. Play up your best feature. Let me tell you, ladies, a little junk in the trunk is very “in” right now. Be happy with who you are, and people will notice the things that make you so awesome. Put your phone down, and be present more often. Seriously, put it down! Look around at the world around you. Take a deep breathe, look up at the sky or around the room. We often forget to be in the now. Our lives are short enough. Let’s make each moment count. Smile at someone, just because. You just might make a difference in their day. Find one exercise that you LOVE, and do it regularly. This is not about losing weight or looking like a Victoria’s Secret Angel. This is about long-term health maintenance. You only get the one body, so it’s important to keep it fit. Regular exercise helps manage and prevent certain chronic health conditions, maintains good joint health, keeps you happy, lowers stress, AND helps you sleep better. Drink more water! Seriously! Water is a lubricant for your body! Dehydration affects your mood, thereby water makes you less cranky. Water helps you lose weight. Often, we think we are hungry, but we are really thirsty. Water flushes our waste and bacteria, prevents headaches, and makes your skin glow! There are so many things to look forward to this year! Every day is a new day to start over. If you ran out of time to exercise today or you didn’t get all 64oz. of water, you can always try again tomorrow. Maintaining a positive attitude is the key to success. Slap on some sunscreen, drink a liter of water, go for a jog, and put a smile on that beautiful face. The world is yours for the taking. Don’t forget that you can take over the world and be tan with a custom Air-Tan! 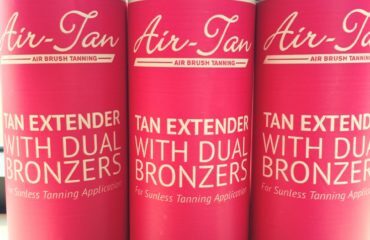 Stay Tan During your Entire Vacay with our Tan Extender! FAQ: Why did my tan come off splotchy last time?